I just recently told you about my discovered love of maple syrup, and here I am again with more maple treats. If you adore all things maple, I’m sure you’ll forgive my quick return to some maple goodness. So, this is the part where I tell you that when I say maple syrup, I mean maple syrup. Not pancake syrup. Two totally different things, my friends. When you look at the ingredients on the bottle, there should be only these words: maple syrup. That makes it simple. I used Grade A Medium Amber, although that’s generally a matter of flavor preference. 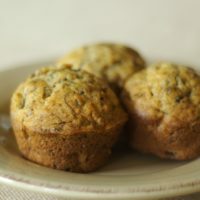 I, of course, use pecans in these muffins. They’re my favorite and I always have plenty on-hand. You can certainly use your favorite nut or nuts. Hazelnuts or walnuts would be a great option for some variety. 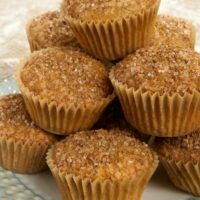 One of my favorite things about these Maple Nut Muffins, besides all that maple-y, cinnamon-y flavor, is that beautiful sparkle on top. 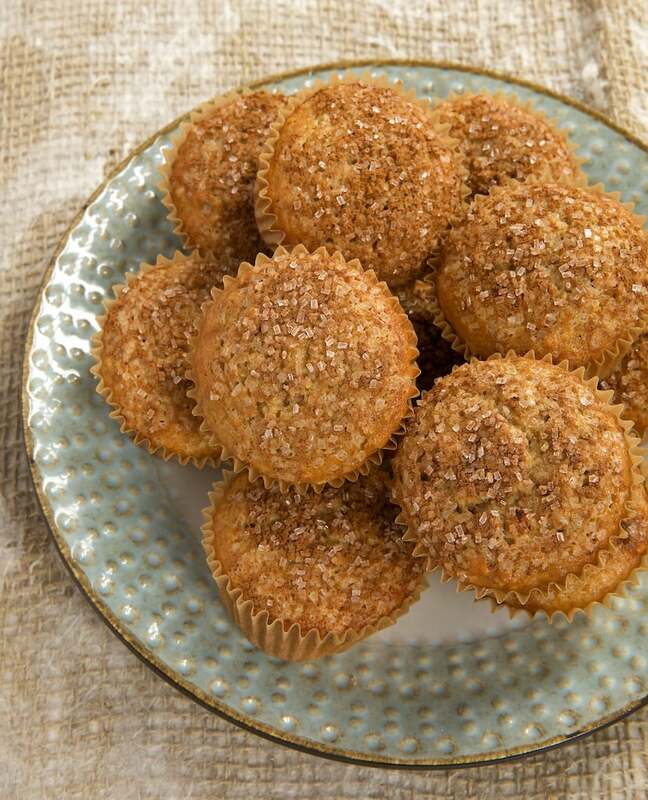 While that cinnamon-sugar sprinkling on top certainly makes them pretty, it also serves an important role in adding a little extra sweetness and flavor in each bite. Preheat oven to 400°. Line 12 standard muffin cups with paper liners. 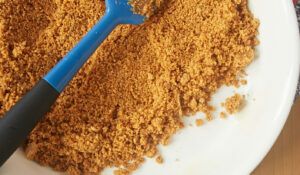 In a large mixing bowl, stir together flour, brown sugar, baking powder, cinnamon, and salt. In a separate bowl, lightly beat egg. 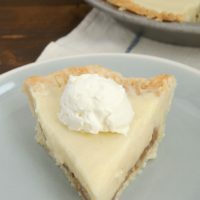 Add maple syrup, milk, and melted butter, and stir to combine. Add liquid ingredients to dry ingredients. Stir just until combined. Stir in nuts. 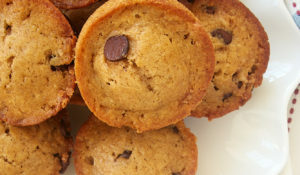 Divide dough evenly among muffin cups, using about 3 tablespoons of batter per cup (filling about 2/3 full). 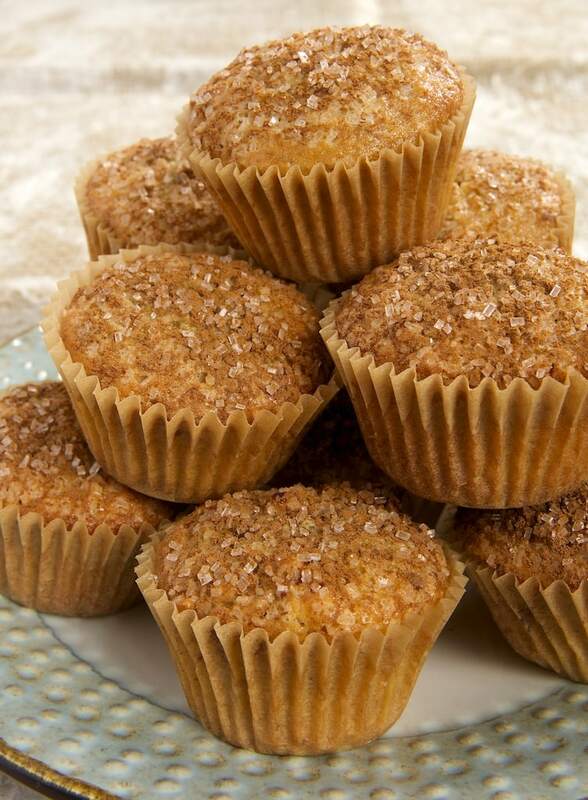 Sprinkle each muffin with cinnamon sugar. 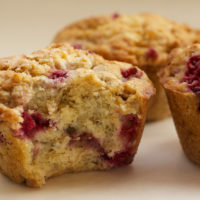 Bake 20 to 24 minutes, or until a pick inserted into the center of a muffin comes out clean. Cool in pans for 10 minutes before serving. *I usually make my own cinnamon-sugar with 4 parts sugar to 1 part cinnamon. For a little extra sparkle, use sanding sugar. 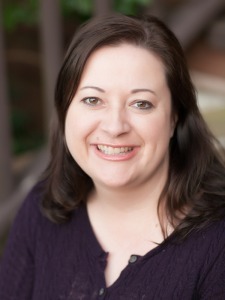 Excellent recipes always, Jennifer!Thank you for posting them! Thank you, Cecilia! And, you are most welcome! Happy baking! You can enjoy them just fine with a cup of hot chocolate or a nice glass of cold milk…good for you! Oooh, I’ll take the hot chocolate for sure! Yum! 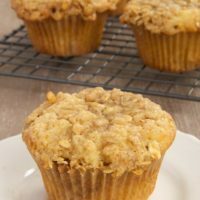 I love everything maple syrup so I’m sure I’m going to adore these muffins! Well, I tried some just now, about 12 hours after making them. I’m not sure if I mixed the batter too much, or what. They’re tough and not springy like I had hoped. The same thing happened with the cinnamon mini muffins. Could it be the mixing of the melted butter and milk? When I mixed those ingredients with the egg, the butter seized up and formed little solid bits. The flavor is good, though. Should I heat the milk slightly next time? It sounds like maybe your butter was too warm. Let it cool more toward room temperature before mixing it with anything. Oh, that sounds logical. Will do! Maple doesn’t get enough attention at this time of year for my liking. 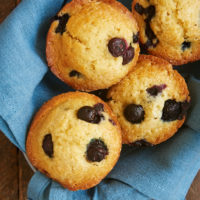 I’m so glad you’re keeping the love alive with these muffins! Hello fellow maple lover!! I am a maple fanatic for sure. I can’t wait to try your recipe as I am totally addicted to sparkling sugar also. 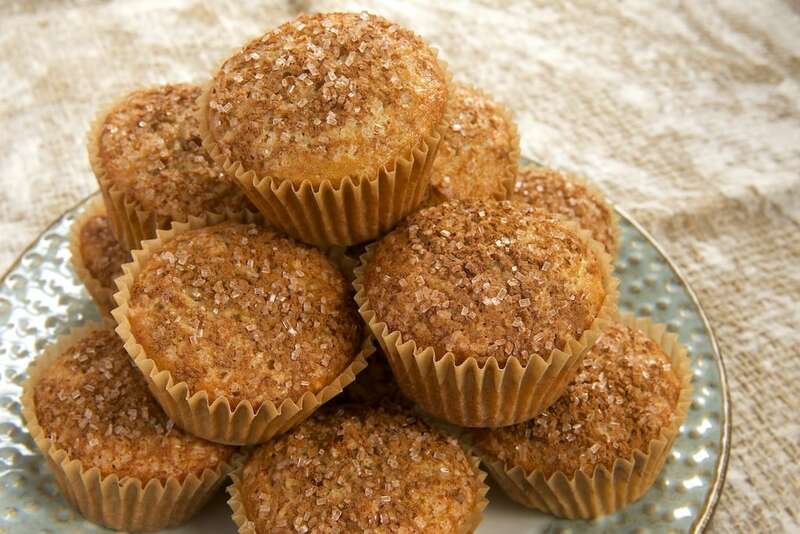 Over the weekend I tried the Maple Nut Muffins recipe using Pecans. 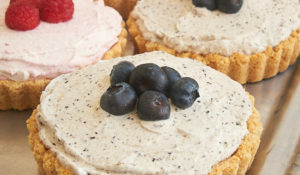 Fantastic / Easy recipe and I will be making them often! Great fall recipe!!! I’m so glad you liked them, Nick! 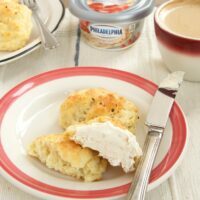 They are the perfect thing for a fall weekend morning treat! I just love the combination of maple and walnuts. Maple syrup is not easy to find in Norway where I live, but fortunatly my daughter travels to the US quite often. I will definitly try this recipe. Thanks for sharing.